The Super Bowl just keeps delivering. 20th Century Fox released another look at Alita: Battle Angel during the big game and it shows off some new footage from the cyberpunk action movie based on Yukito Kishiro's manga Gunnm. Fans have been waiting to see the movie for quite nearly 20 years. After a long string of release dates, it was finally going to hit theaters during Christmas of last year. However, that was changed yet again. Thankfully, the wait isn't much longer with the new Valentine's Day release date quickly approaching. Robert Rodriguez is bringing out the big guns for Alita: Battle Angel. Robert Rodriguez's Alita: Battle Angel looks stunning in the latest Super Bowl sneak peek, and like it will be well worth the wait. James Cameron was originally on board to direct, but that didn't end up happening after years of development. With that being said, he still serves as producer on the project. Early reactions to the action movie have been overwhelmingly positive, crediting Rodriguez for the fresh and unique look. MovieWeb's own Julian Roman says that Alita: Battle Angel "has melt your eyeballs, stunning action scenes." That sounds like a manga adaptation that we can all get behind. While we have seen three full-length trailers for Alita: Battle Angel since last year, the new Super Bowl spot puts the focus on the intense action and it looks truly crazy. The movie is described as an epic adventure of hope and empowerment, which is teased in the new spot, but more so on the adventure. The movie tells the story of the titular Alita, who is a disembodied "core" who awakens with no memory in a post-apocalyptic world destroyed by a technological fall in the 26th century. Dr. Ido finds her and gives her a new body. However, after some time, they discover that Alita has a pretty amazing past and that she is much more than what she seems. James Cameron had interest in making Alita back in 2000, but an announcement wasn't made until 2003 when Cameron confirmed that he was on board to direct and that a script was being written. Throughout the years, Cameron started working on other projects and Alita was given plenty of release dates that have come and gone. In 2015, it was announced that Robert Rodriguez had signed on to direct with a full reveal in 2016. Even when James Cameron was attached as Alita: Battle Angel director, the movie was going to be a mix of live-action and CGI, like the Avatar series. Filming on the project finally started in October 2016 and wrapped in late January 2017, though there were some extra shoots held in February. 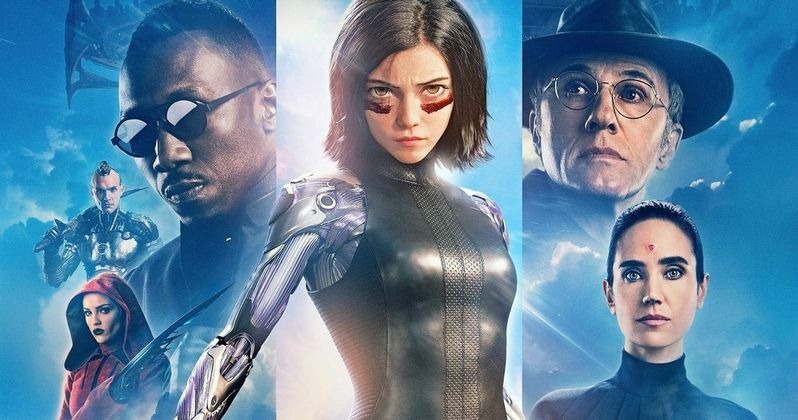 It's been a long road to get Alita to the big screen and according to early reviews, it's all been worth it. You can watch the Alita: Battle AngelSuper Bowl spot below, thanks to 20th Century Fox.